Sashiburi Minna-san! Its been months since my last post and I apologize for that. My life has changed so much in these past 6 months that I haven’t been able to sit still and blog – ALTHOUGH I’ve desperately wanted to tell you all about all the games, cons, cosplays etc. that have been going on. I was requested to do this Review of this game which I haven’t covered yet because it came out after my last post which was when I started playing ’10 Days with my Devil’. Hopefully I’ll get around to the General Game review sometime, but Meh – who knows if that will happen. 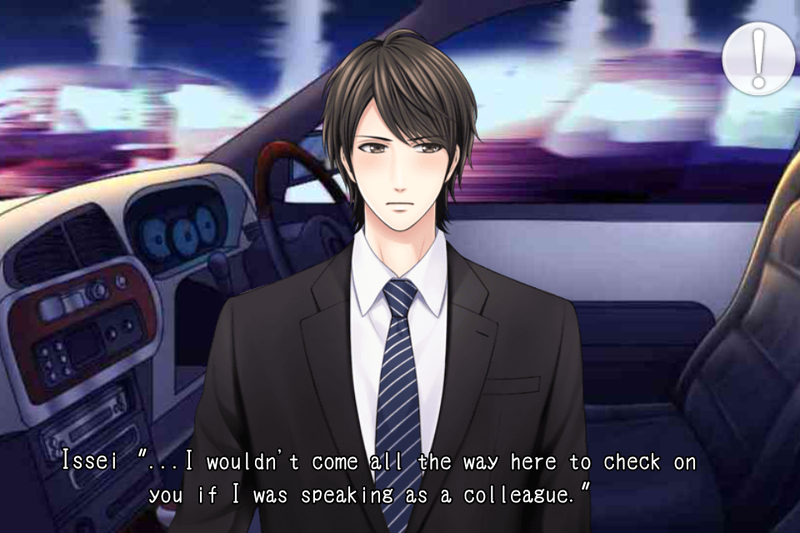 At the rate that Voltage is putting out games and stories now I barely have time to keep up! Not to mention that SOLMARE has put out 3 new paid games and 2 new Gree games!!! 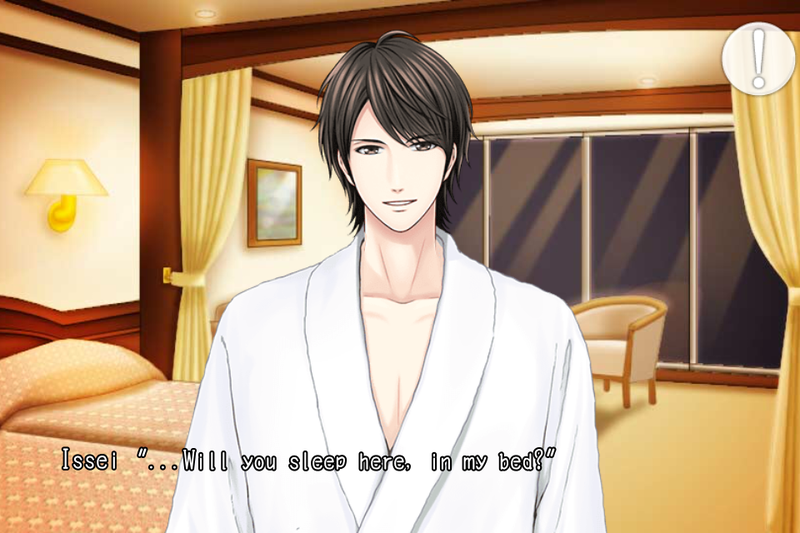 It’s an exciting time for otome-gamers now, the Genre’s popularity is booming! The main story I purchased through the “Kiss of Revenge” App which i bought at the time (when it was released) for $3.99. At this moment there is a sale for $2.99 for Christmas but it will probably end any moment now so if you decide you want this story I suggest you buy it right away, after you read my review of course. I also purchased the Epilogue for $1.99 that same day. 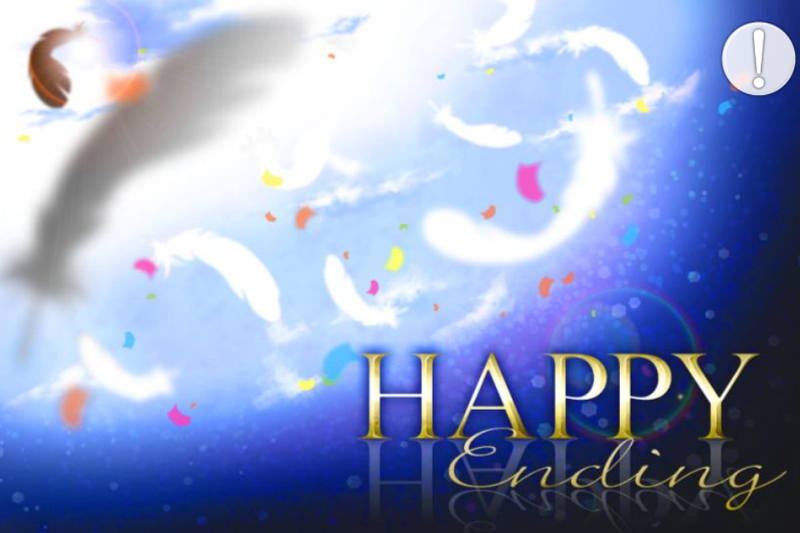 The Main story gives you 5 Reward Images, and the Epilogue gives 1. I got 3 mails in my mailbox right now. I’m not sure if the last one is from the epilogue or from the happy ending. I could have sworn the first time I did this story I got more emails. Either I didn’t get a few because of the decisions I made this time around OR it could have been the sketchy 3G signal I’ve been getting this past few days since we had this massive ice storm we had on Saturday. About 100,000 people lost power, cable and internet from broken power lines etc and many are still without power but ANYWAYS back to the less depressing stuff. Now onto the review. I won’t spoil things for you don’t worry. The nature of these kind of suspense stories rely on surprises and twists etc in order to make it enjoyable and I don’t want to take that away from you all so I will be very careful. 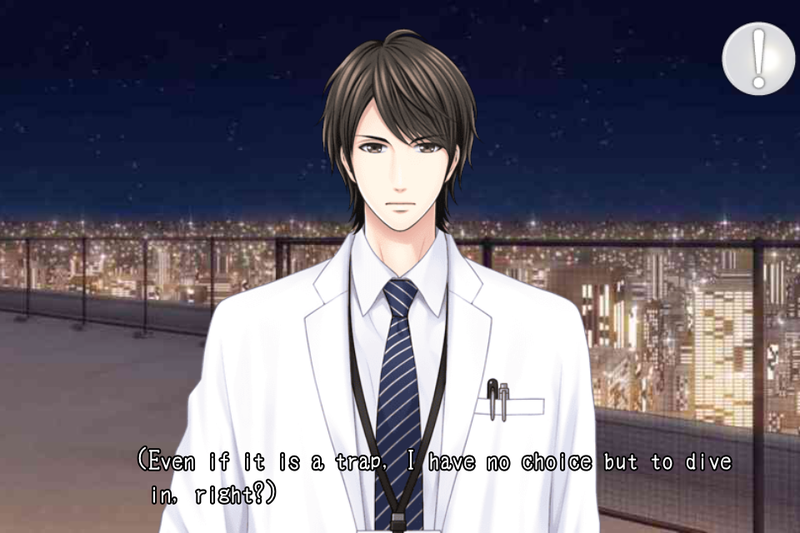 At this moment I’ve already played all available stories in this Game, which I can safely say places 3rd in my favourites list for Voltage Inc games. 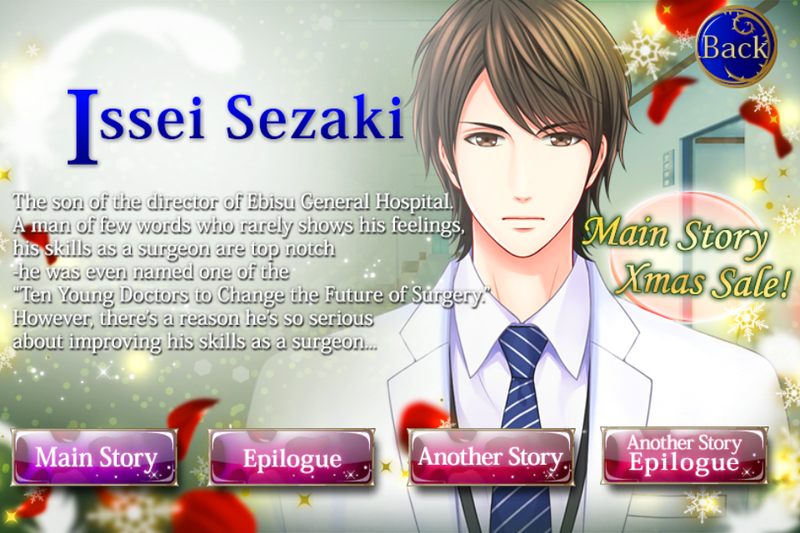 And I have to say that although I really enjoyed this story and I think Issei is really an amazing guy in general, comparing every character and story he stands as my second last favourite character in this game. Do not get me wrong, this is one of voltages masterpieces and I really love how heavy, dark and twisted this story became, and how beautiful the ending in the epilogue was. 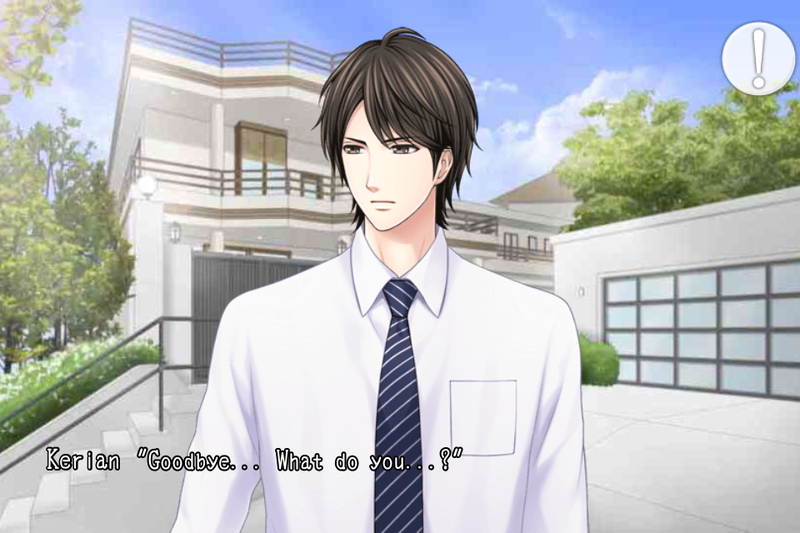 When I had first played this game I remember being in tears as I played it and my heart aching for Issei like I was really going through what MC was going through. And I thought at that moment that Issei’s story must have been the best one out of the 4, because of the complexity of the conflict and story and how through it was. …makes me want to burst with giddiness. He’s the directors son – I thought it would be obvious to me that this would be the most involved story. And after Junpei’s story I still felt the same way. However when I got through Irie’s story I was shocked at how good that one was, that I wasn’t even looking forward to Kyosuke’s Story. 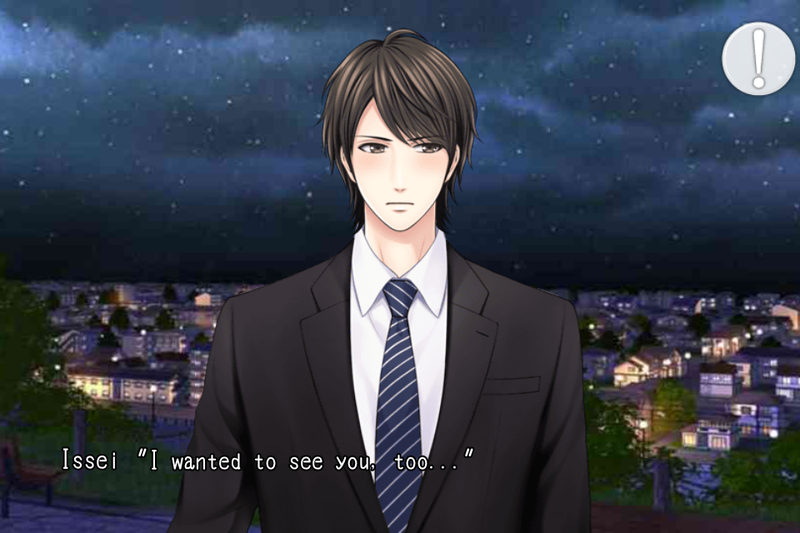 Kyosuke seemed like such a unimportant side character in all the other stories but again, when I was able to play his story I was again in shock as to how much I loved it. And now that I’ve played this one again, although I do really like it, it kind of cuts short of Irie and Kyosuke’s story. 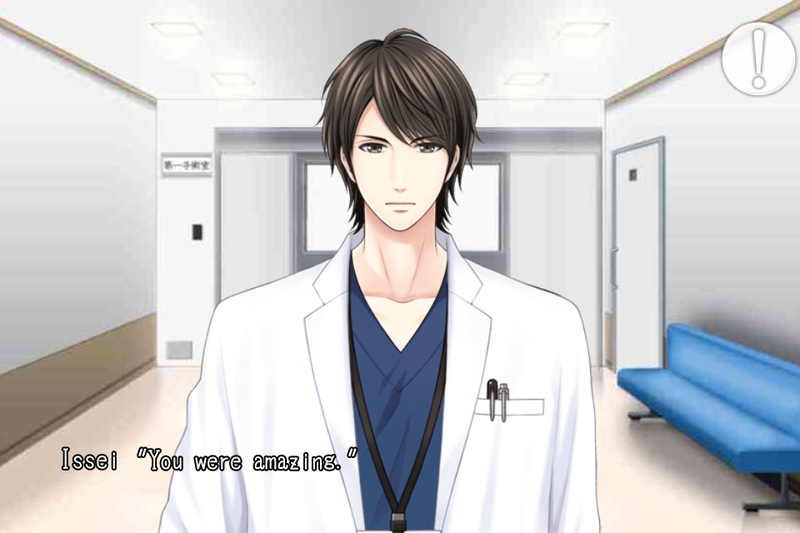 One reason for this is probably because Issei is just not my type. He is quiet and cold and doesn’t say much. He is ridiculously handsome but Irie’s looks in my opinion are absolutely perfection and no one in any of the other games can compare to him. He is honest and hardworking and very admirable, and just as romantic as the rest when it comes to his feelings, but it is expressed more in the situation and more of an innocent honest love then a passionate one. I’m a Yandere so I need things to be passionate and heated and almost overwhelming. 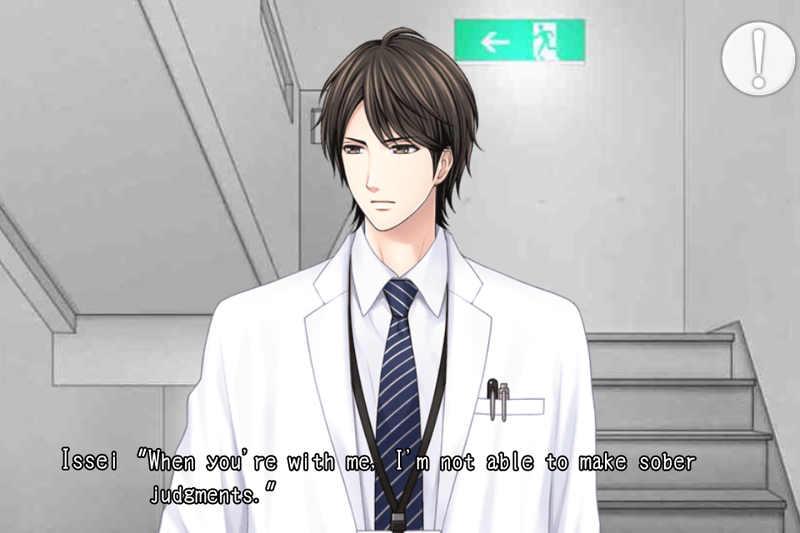 Despite this, if I have met a man in real life who was as admirable as Issei (and of course I had no one like Irie in my life) I would probably still fall head over heels with him because of how amazing he is as a person. He is sweet, kind and more compassionate than any real life person. You almost feel sorry for him because he is such a good person. Plot-wise, it was a very impressive and dark story. 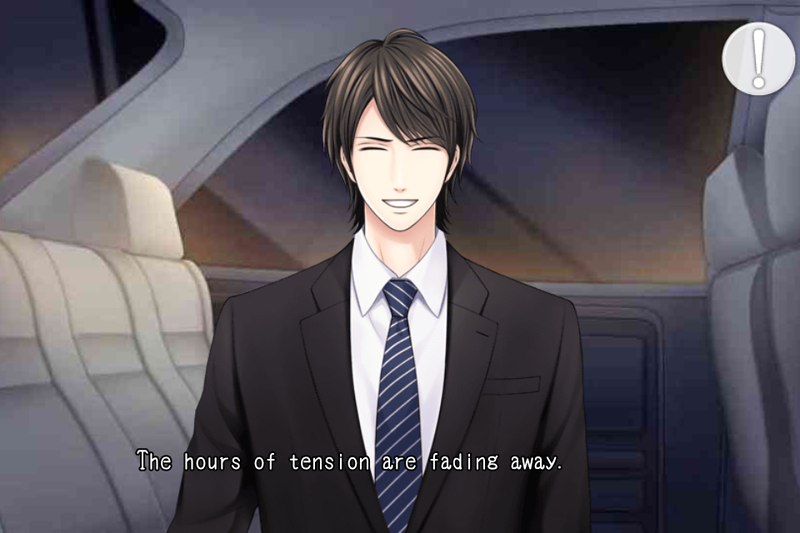 It was very heavy which is extremely different than any of the other voltage games out there. “In your Arms Tonight” was also a darker more serious story but that still isn’t close to as complex and heavy these stories are. Specifically in this story there was more feelings of confusion, guild, doubt, anger, and bitterness than happiness in this story (it is the nature of the premise after all). Going through all this as the Main Character they did a very good job of making you really emotionally involved in this story. I’m at a point in my life right now where I’ve been through some really rough life changing experiences so I’m honestly speaking that I’m far from being happy about my life and my situations right now. So the feeling of anxiety and sadness that I felt when I was going through this story were very similar to what I felt when I reflected on my own life. And like I’m doing in my own life, all I can do is push forward in the story till I get to the happy ending that I know is waiting for me. Which brings me to the only thing I don’t like about this story (It may be the same way in the other stories as well but I can’t remember at the moment). And this is why I included the Epilogue in this Review. He finally Laughs! in the Epilogue! As for the pictures, I love them all. If you have seen the screenshots or have downloaded the game and gone through the free prologue, you will know that the art style in this game is very different from all the other voltage games out there. I like this style of art which is more mature and realistic than the regular anime style characters (although it is still anime style) and all of Issei’s pictures are beautiful in that sense. He looks so innocent in all his pictures its very heartwarming and very rewarding. As for the emails, out of the 3 that I got I only had 2 from Issei, the one in the middle was from Kyosuke. But I liked the last one a lot it was very heartfelt and make me feel very loved and happy. In general this story gets an A and I would love to play it again and again, After i get sick of Irie and Kyosuke of course. I’m happy as always that I purchased this story and I hope you will enjoy it too! Want to play “Kiss of Revenge” ? Download it in the iTunes AppStore Here OR Google Play for Android Here.